We're excited to announce our brand new page builder! With the Premier page builder, you can create beautiful customized pages that can act as a homepage or a landing page. Here's the choose your own adventure part :-) You can watch the video walk thru (on a Premier page) and then read more here, or vice versa. Up to you! If you'd like to see this video series living on a Premier page, CLICK HERE. Before you get going on adding sections to your new page, it'll be a good start to understand the installation and settings behind the page builder. With many customizable sections to choose from, this overview video will go through each one on a general level. Both exit popups and two-step opt-ins can prove to be vital to many people's online presence. Now you have both features available in every Premier page! Here's just a quick video of 3 tips to further utilize Premier to it's fullest potential. 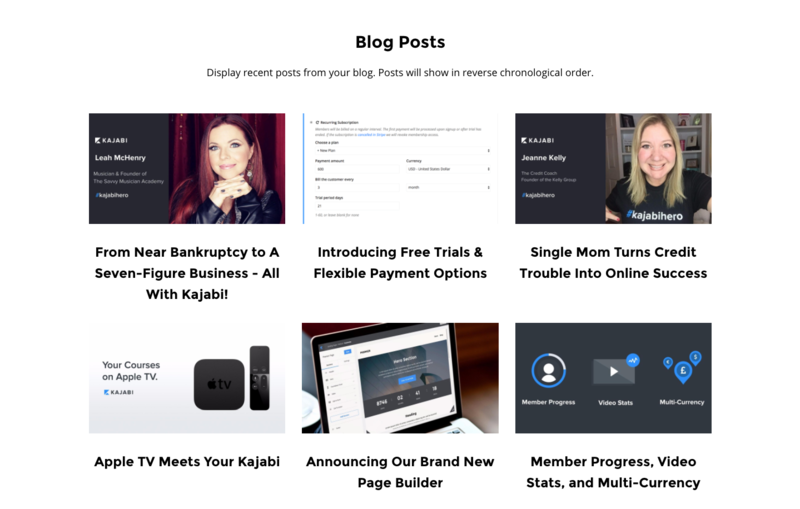 House up to 6 of your latest blog posts directly on your custom page. This will automatically pull from the latest articles you've published, but you can choose to either show the publish date or not. There's nothing like creating a sense of urgency with a customizable countdown timer! Hopefully you don't make your customers wait too long for your amazing content ; ). While we do offer a dedicated CTA section, you can actually place Call to Action buttons on many of the Premier sections. This feature is exactly how it sounds, as you can add blocks, but you can also add custom code directly within this section! Cue the endless possibilities! Have some special features you'd like to share with your customers? Well our Features section is absolutely perfect for that! Regardless of what you use it for, you can add a heading section in any area you like by simply dragging and dropping it between sections. Each heading is the length of the page, and has a colored bar below the text. Yes, there is in fact a hero in all of us. Luckily, Premier has a hero too! 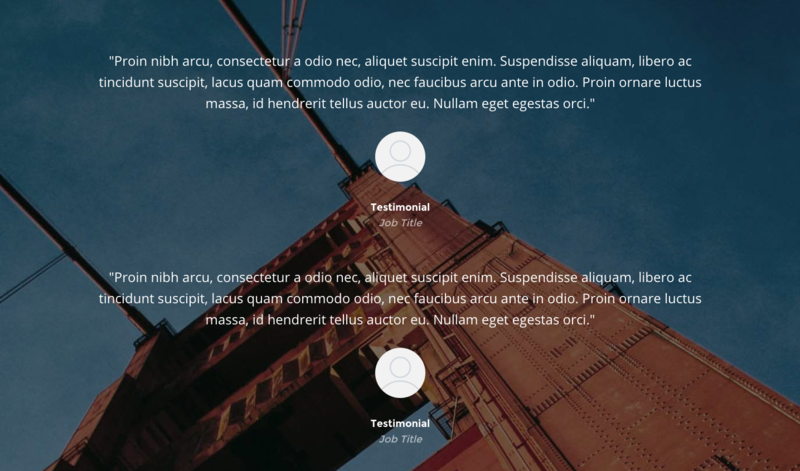 Our hero section can house a background image, as well as a background video, then allows for multiple CTA buttons! I've officially found my hero : ). This is exactly what it sounds like. You can have an image with a heading and subheading listed above. If you'd like to have more than one image in a single section, then our gallery may be a perfect fit for your page. You'll be able to add as many images as you'd like for your tiled gallery. All images will upload in their native aspect ratio. Whether you want to utilize a link list as a header, footer, or a friendly reminder of an offer, you can now place link lists anywhere on your page with our amazing drag & drop feature in Premier. Have you been featured in media or publications? Do you have a list of affiliate sites you'd like to show? Well our logo list will allow you to upload logos and create links out of all of them! What better way to collect customer information than an opt-in form? You can add as many as you'd like in Premier! Do you want to house your sales pages in custom areas on a custom page? Well now you can! Add sales pages, that lead customers directly to checkout, anywhere you want in Premier. You can choose to add them one at a time, or multiple in the same section. If you have something particularly special, or perhaps not, that you'd like to share with your audience, then our showcase section is perfect for that! 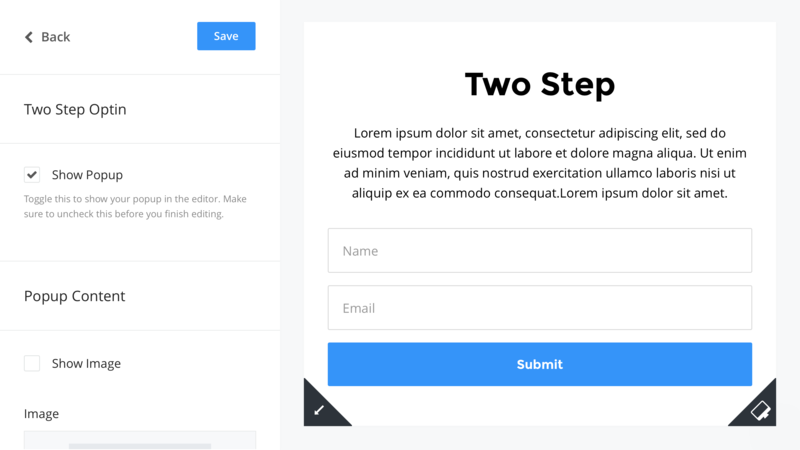 You'll have the option to add an image, a CTA button, a heading and text. 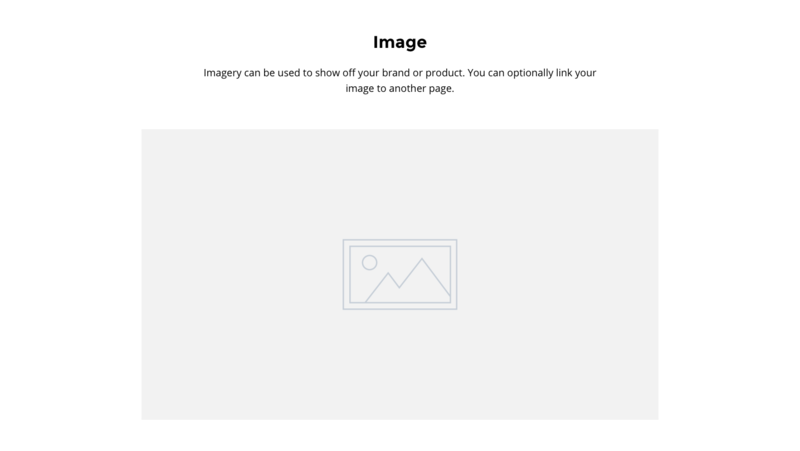 Maybe you have multiple images that you'd rather not tile on your site. 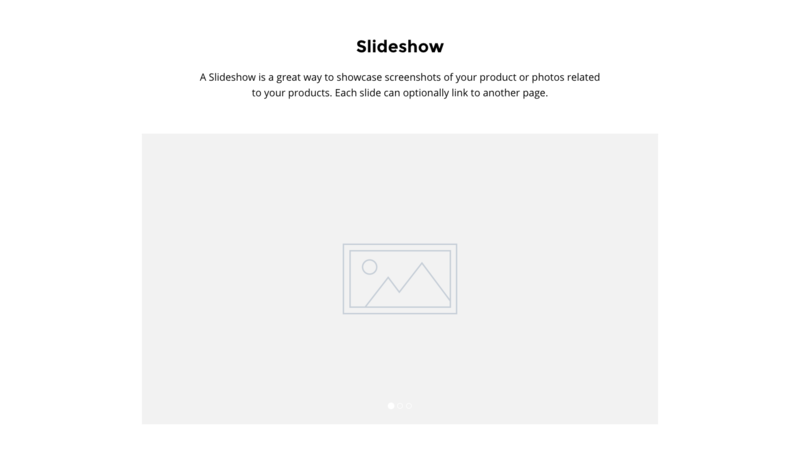 Well, with our slideshow, you can upload multiple images and they will slide horizontally in a beautiful and fluid fashion. You can also create links out of all of the images! Never before has it been easier to add your social media buttons directly to a page. All you have to do is upload your information in our social section, and you'll be able to drive traffic directly to your social empire! With spacers, you can create a buffer zone between sections consisting of any color or size you'd like. There really is no limit to the size of the spacer you'd like to create, but don't get too crazy with it ; ). Share your amazing feedback with the world by adding as many testimonials as you'd like! The text section is exactly what it sounds like, an area of text where you can place your copy, along with a heading and subheading. You can combine our text section and image section together with the 'Text & Image' feature! The cool thing is that you can decide which side you want the image to be shown on, allowing for you to build cascading sections for site balance. 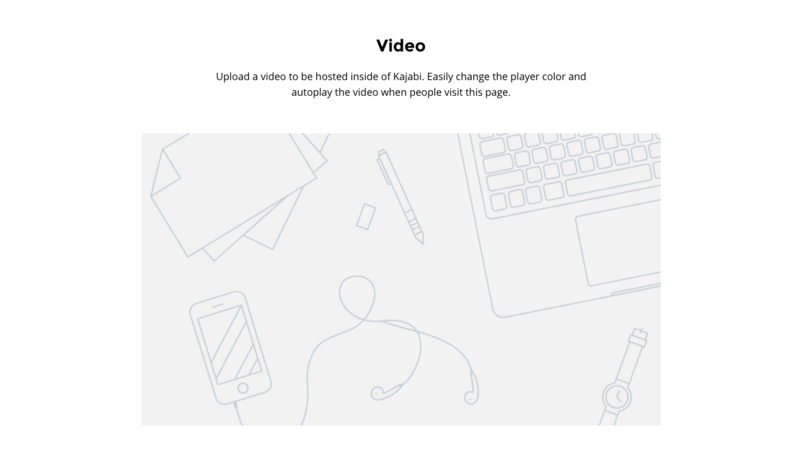 Upload a video directly to Kajabi, then drag it to wherever you'd like on your Premier page! 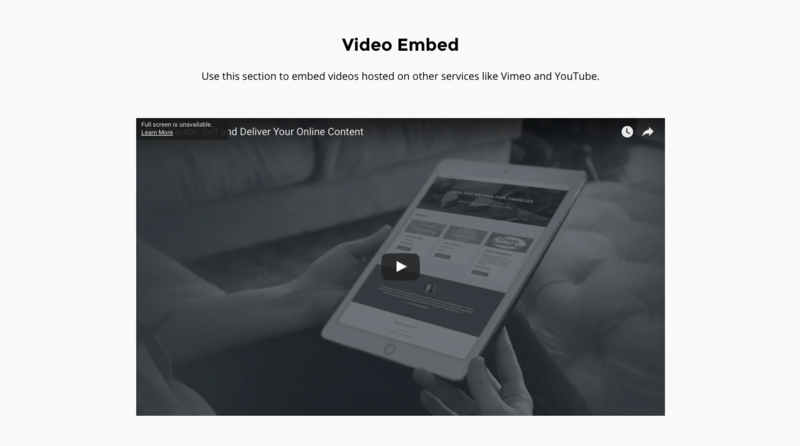 Perhaps you host your videos on an external platform and would like to simply embed them on your page. Well, not only can you embed them, but you can also place them anywhere! 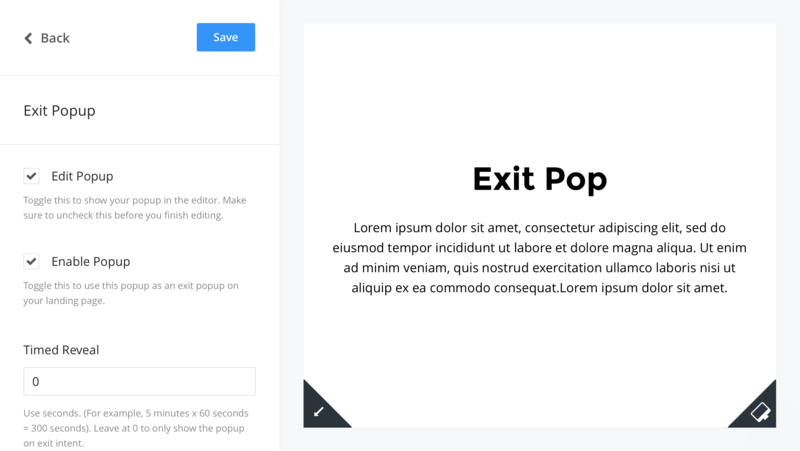 Capture your audience's attention when they want to leave your page with Premier's exit popup! Not only can you show it upon intent to leave your page, but you can also time it to popup during a page session! Harness the power of a two-step opt-in, which many members have been asking for, from directly within your Premier dashboard. This isn't in the section list, but both Exit Popup and Two-step Opt-ins are available in the bottom left of your Premier page editor. Keep in mind, you can create all of these sections, and then place them in ANY ORDER you wish! Don't worry about perfecting your layout right off the bat, just get to work putting your content together and revisit the order of your sections later. You can rearrange the sections, save it, and then the changes will reflect immediately, so don't stress the minor details : ). 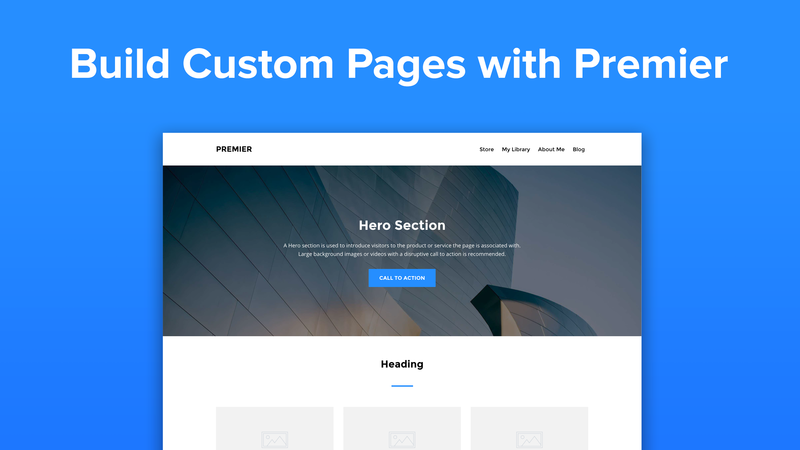 If you're ready to get started building fully customized pages within the most powerful content platform, then sign up, login and install the Premier page today. You'll be amazed at what you can do, and with endless possibilities, we're excited to see what you create! Sign up for a 14-Day Trial and try the Premier page builder!